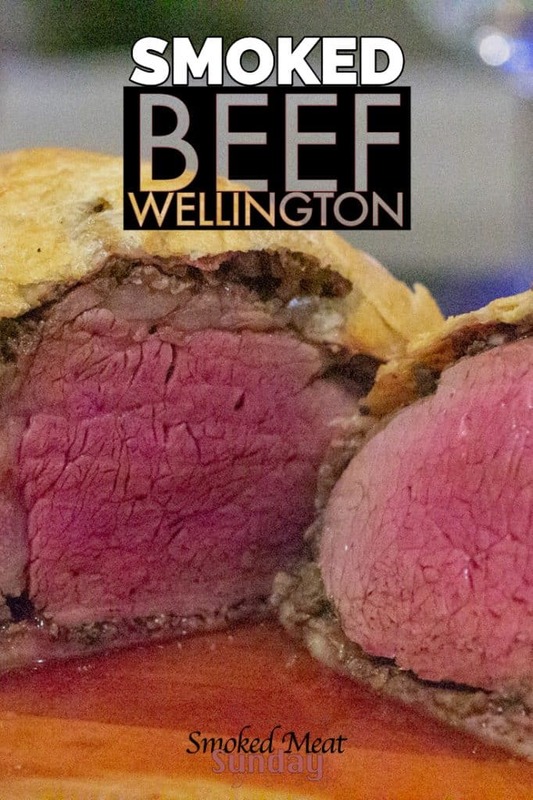 There are just a few ingredients you’ll need to make Smoked Beef Wellington. You’ll also need time. There are quite a few steps involved in making this, and it can be a little overwhelming… just follow along, and you’ll be fine. Additionally, you’ll need a roll of plastic wrap and a good instant-read thermometer. 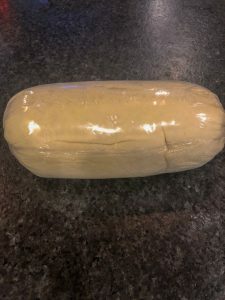 One of the most important things about making Beef Wellington is getting all of the ingredients to the same temperature, and keeping the shape of your beef. Grab two equally sized pieces of plastic wrap, and wrap your beef tenderloin. Twist each end of the plastic wrap to get it nice and tight, and force the tenderloin into a cylindrical shape. Place the wrapped tenderloin in the refrigerator for at least 30 minutes. This will help set the shape of the tenderloin. After the beef tenderloin has chilled for 30 minutes, unwrap it, and place a cast iron skillet on your stovetop over high heat. Put a few tablespoons of olive oil in the skillet and sear the outside of the tenderloin. Slowly roll the tenderloin to make sure you get all sides. 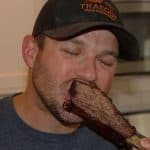 Use some tongs and sear the ends too. This should only take about 60-90 seconds total. 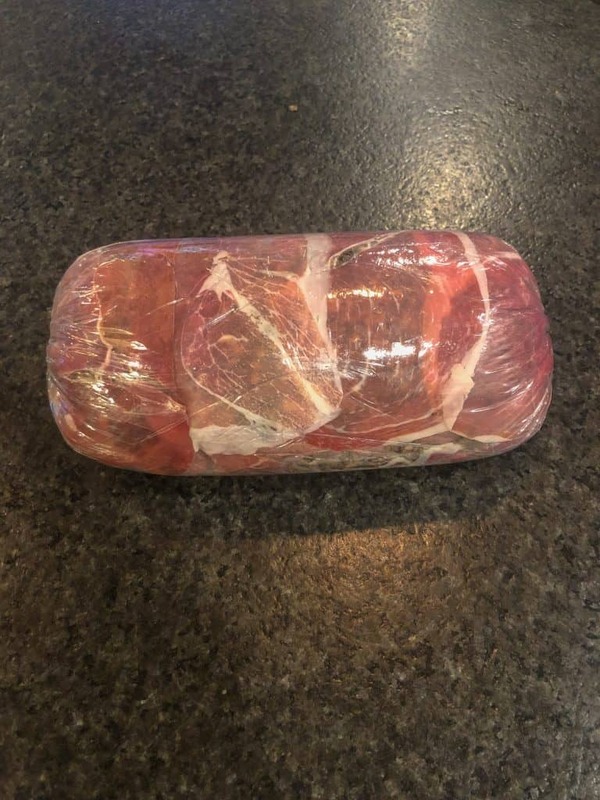 Let the tenderloin rest for about 10 minutes and then wrap with plastic wrap again, twisting the ends tight to hold shape, and return it to the fridge. Put a tablespoon of olive oil in your skillet. Finely chop the mushrooms and shallots and put them in the skillet. Chop up the leaves from the sprigs of thyme and place those in the skillet too. 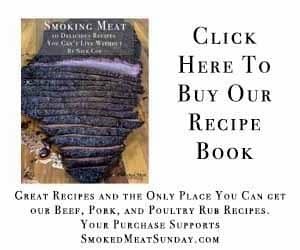 Place the skillet in your smoker and let the ingredients smoke for about 30 minutes. After 30 minutes of smoke remove the skillet from your smoker and place on your stovetop over medium heat. Add a tablespoon of red wine vinegar and let the ingredients cook until all the moisture has cooked out. This will form a paste known as duxelle. Put the duxelles in a small bowl and place in the fridge to chill. 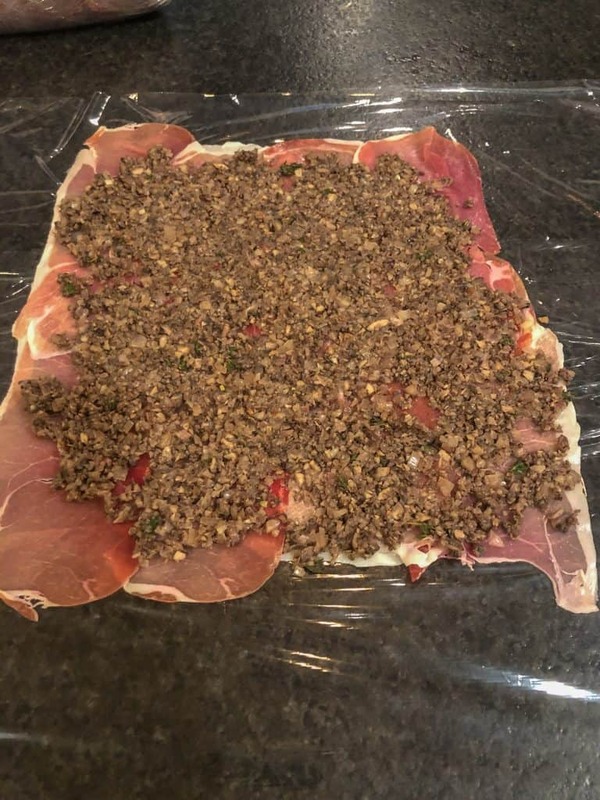 While the duxelles is chilling, put a few pieces of plastic wrap down on your counter top in a double layer. On top of the plastic wrap, place your pieces of prosciutto. Use your already wrapped and chilled beef tenderloin as a guide for how wide the prosciutto layer needs to be. 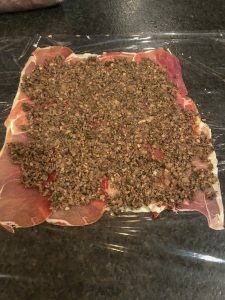 Remove the duxelles from the fridge, and place on top of the prosciutto. 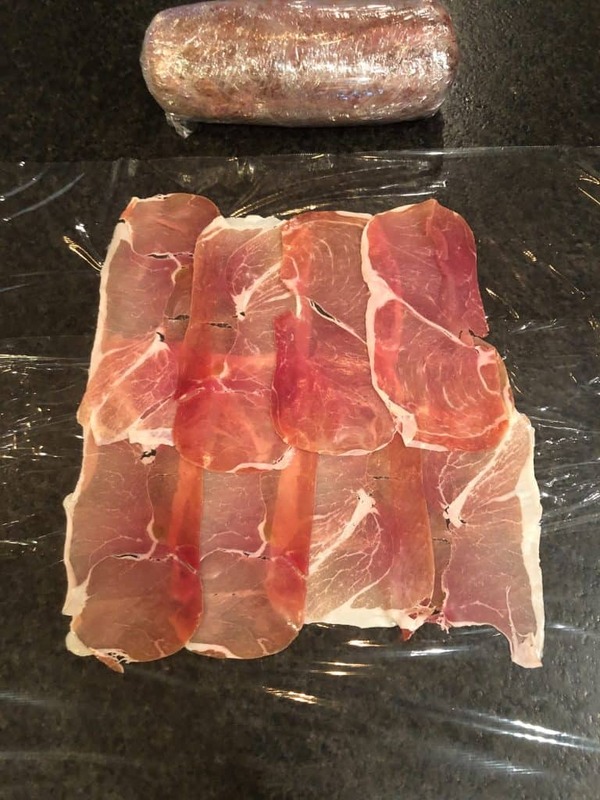 Use a plastic spatula to evenly cover all of the prosciutto. Are you still with me? This is where things start to get fun. Unwrap the beef tenderloin, and place on one edge of the puff pastry. Carefully and tightly wrap the beef tenderloin. Wrap tightly with plastic wrap and twist the ends. You know the drill, back in the refrigerator it goes. It takes my smoker about 20 minutes to get up to 350 degrees. If your smoker is similar, now is the time to get your smoker going. 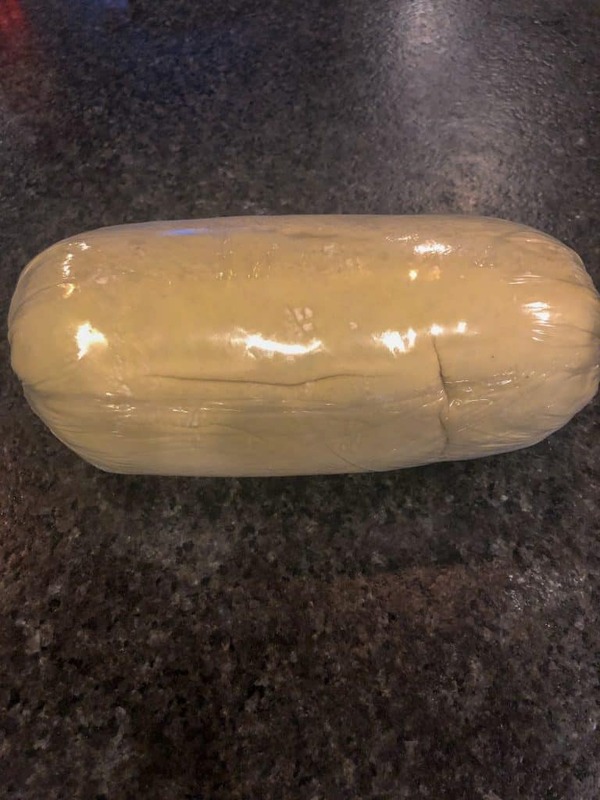 Remove the uncooked Beef Wellington from the plastic wrap. The puff pastry will have a few seams. Using wet fingers, rub each of the seams to eliminate them. Brush the puff pastry with egg wash, and then if you’d like, you can make a pattern in the puff pastry using the back edge of a butter knife. Carefully place the uncooked Beef Wellington on a cookie sheet lined with parchment paper, and put it in your smoker. 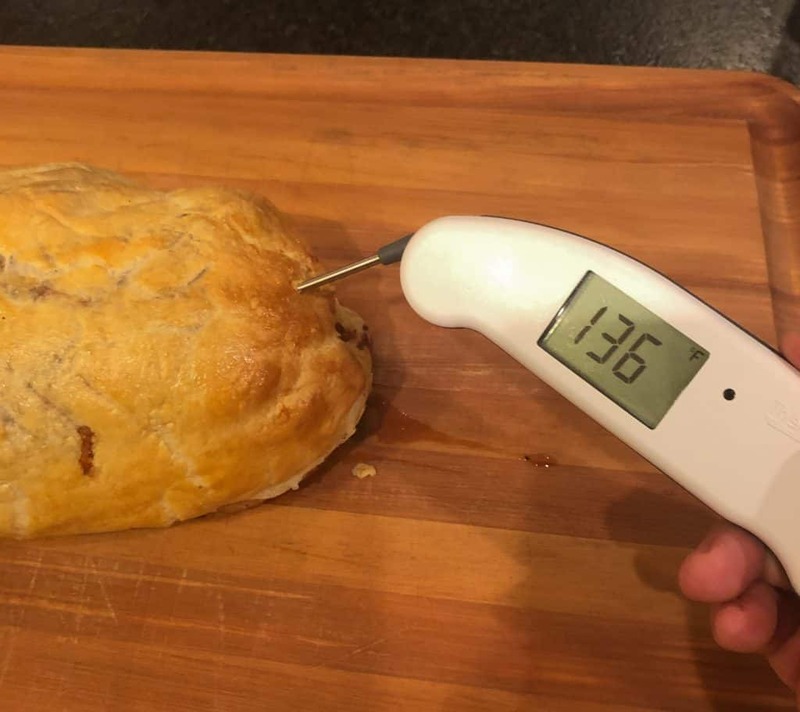 Using your instant-read thermometer check the internal temp of the Beef Wellington after cooking for 45 minutes. Continue to cook until the internal temp hits 130, and then promptly remove it from the smoker. I never cook to time, always to temp! Let it rest for ten minutes before slicing. In total, this Smoked Beef Wellington took about 4 hours to make. Each of the steps are fairly simple, but to get it right, it was really important that I knew what the entire process looked like ahead of time, and worked backwards from when we wanted to eat. My Thermapen was a crucial tool to get this just right. 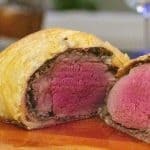 Beef Wellington is served rare, and it would be very easy to over cook this if we just went by time. I always go by internal temp when I’m cooking meat. Using a Thermapen makes it easy. 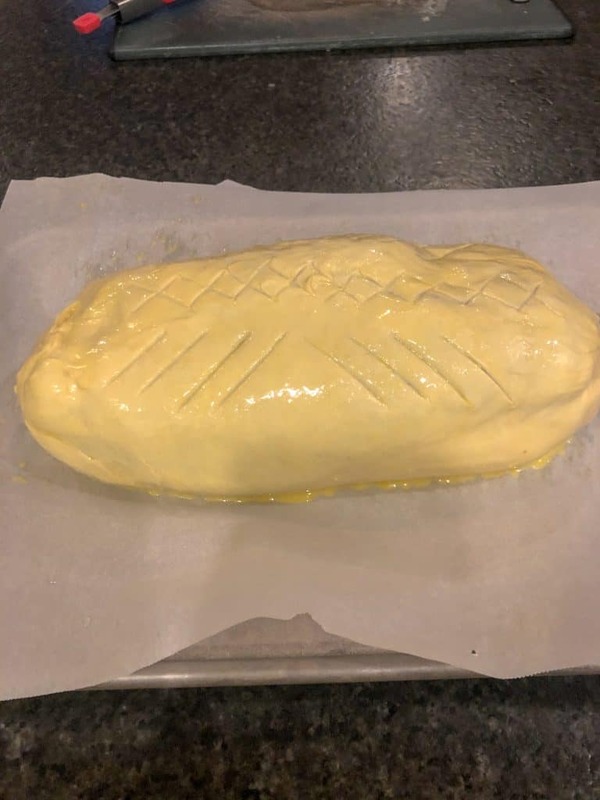 I used Gordon Ramsay’s recipe as a guide for this Smoked Beef Wellington. I modified it a little bit to accommodate the smoker. Carefully place the uncooked Beef Wellington on a cookie sheet lined with parchment paper, and put it in your smoker. 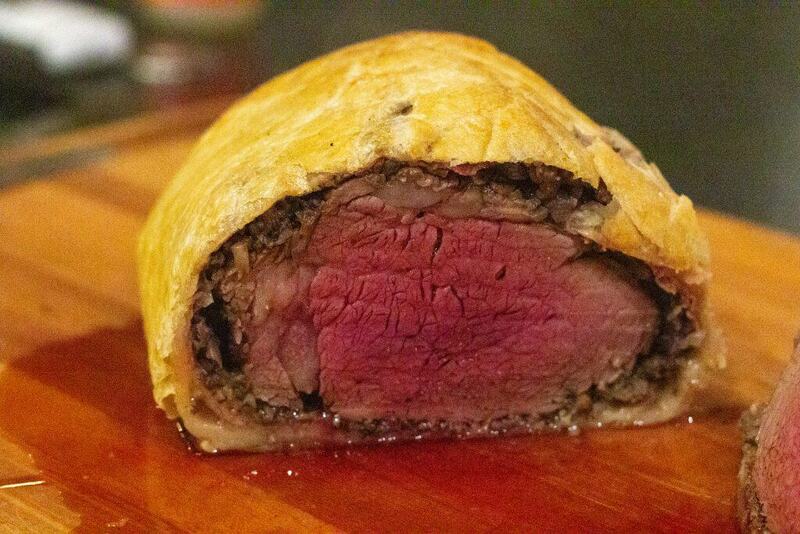 Using your instant-read thermometer check the internal temp of the Beef Wellington after cooking for 45 minutes. Continue to cook until the internal temp hits 130, and then promptly remove it from the smoker. 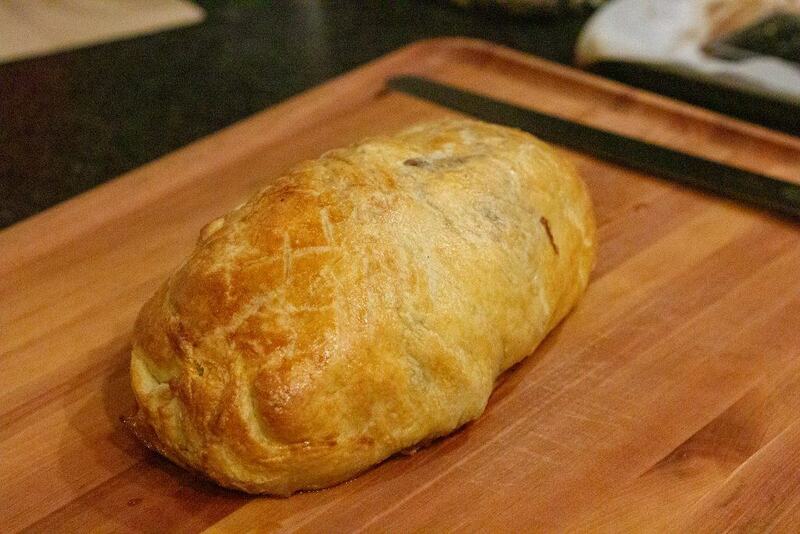 In total, this Smoked Beef Wellington took about 4 hours to make. Each of the steps are fairly simple, but to get it right, it was really important that I knew what the entire process looked like ahead of time, and worked backwards from when we wanted to eat. My Thermapen was a crucial tool to get this just right. 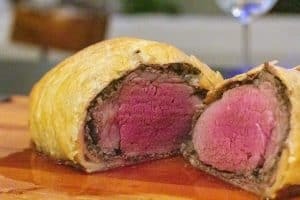 Beef Wellington is served rare, and it would be very easy to over cook this if we just went by time. I always go by internal temp when I’m cooking meat. Using a Thermapen makes it easy. I used Gordon Ramsay’s recipe as a guide for this Smoked Beef Wellington. I modified it a little bit to accommodate the smoker.